Nigeria gaffer, Stephen Keshi has revealed that he has so far been shunned by winger Sidney Sam who could play for Nigeria or Germany. 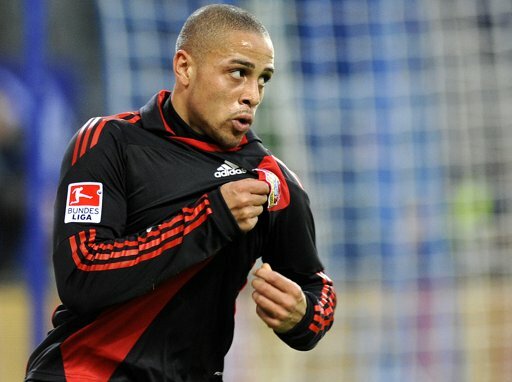 Keshi, who had planned to visit Germany to talk to Sam, said he would now rather allow the Bayer Leverkusen star to make up his mind on his international future. “I have called Sam over 15 times and each time, the phone dovetails into voice mail and I have always left message, but the player has not responded to any of my messages, that to me is shocking and says a lot about his readiness or otherwise to play for the Super Eagles,” Keshi said. Keshi said while he has not given up on the player, he has for the meantime decided to look beyond him and try other willing Nigerians, even as he has employed some scouts to work on Sam, who has capped by Germany at various age-grade levels. One of such players, according to Keshi, is Atletico Beleares of Spain midfielder Raheem Lawal, who featured for Nigeria at the London 2012 Olympics qualifiers in Morocco last year.